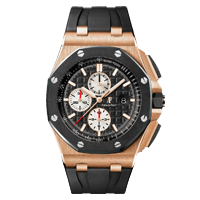 Constant innovation and avant garde design have solidified Audemars Piguet beacon of fine Swiss watchmaking since its formal inception in 1881. 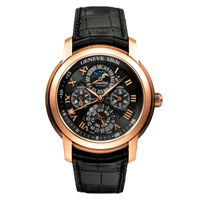 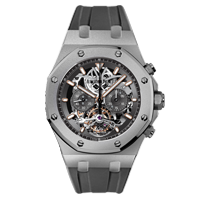 AP's product line offers a wide array of complications for the discerning haute horlogery enthusiast, including chronographs, perpetual calendars, flying tourbillons, minute repeaters, and more. 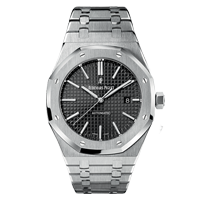 In 1972, AP turned the watch industry upside down with its release of the often controversial Royal Oak, the first luxury sports watch of its kind. 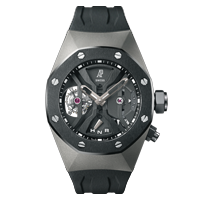 Since then, Audemars Piguet has launched many successful and highly coveted time pieces like the Royal Oak Offshore, the Royal Oak Concept, and a variety of limited edition designs for noteworthy individuals like Michael Schumacher, LeBron James, Loe Messi, Rubens Barrichello, Jay-Z, and more.